"Michael!" screams Katy with a high-pitched voice. Finally! You've found the girl. But there are still many kids missing! Can you stop the psycho Mr. Big and his goon squad before these criminals abduct all the kids? Yes, you've got what it takes because you are Michael Jackson! Sneak up to the sleazeballs, take the creeps down and finish the schmucks off! 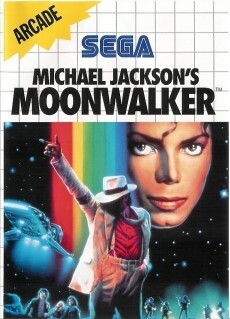 Move to the beats from "Smooth Criminal", "Beat It", "Billie Jean" and "Bad" the way only Michael Jackson can move! Each level is split up into 3 rounds. In each round, all hidden kids need to be saved. 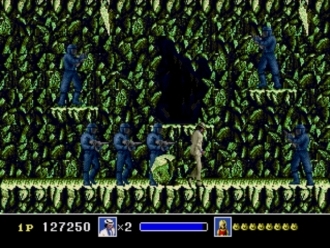 Each round ends with sort of a boss (usually a bunch of enemies). 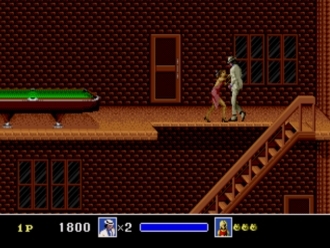 In comparison to the Arcade Version, we have a sidescrolling game here. 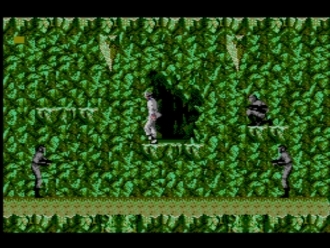 Lika any older game, the difficulty rises to the top in the upper levels whereas the Master System Version is a lot harder. There are two technicals differences in either of the version not being mentioned in the following comparison. Let me give you 2 examples: the style of Level 6 is incredibly different, the special units (see screenshot) are pretty much alienated. 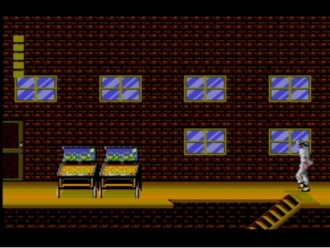 Compared are the Censored Master System Version and the Uncensored Genesis Version. The only female enemies in the entire game show up in the first level. They're only blocking the way but one doesn't lose energy or sth. After hitting them, one can pass. 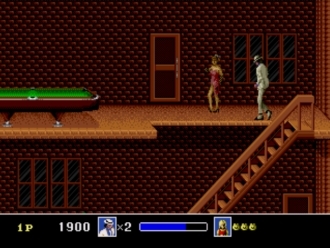 Unfortunately, those ladies have been removed in the Master System Version.